The blood donation festival attracts many officers and locals in Yen Dung district. The festival attracted hundreds of participants giving 550 safe blood units which were transferred to the National Institute of Haematology and Blood Transfusion, helping meet the blood demand for first aid and treatment. Therefore, the district has received over 1,130 safe blood units for 8 months in 2018 from the voluntary blood donation campaign, accounting for nearly 183 percent of the yearly target. Leaders of Red Cross Society in the province and Yen Dung district honor the typical collectives and individual. In the festival, the Steering Board for voluntary blood donation in the province and district honored and rewarded 4 families, 5 households, 5 collectives and 30 individuals. The district has set up 2 standby blood donation clubs of district Red Cross Society and General Hospital with 20 members whose health is regularly checked to give their blood in needy case. 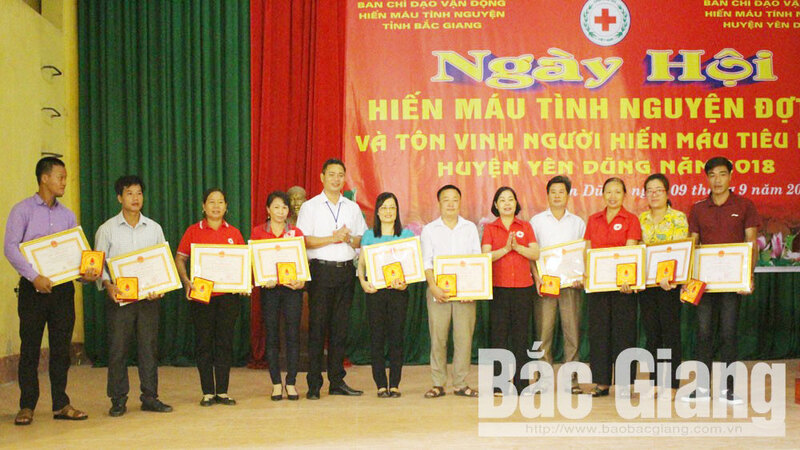 (BGO) – For many years, the northern province of Bac Giang has been one of the leading cities and provinces in the north in blood donation movements thanks to the active contribution of blood donation families. 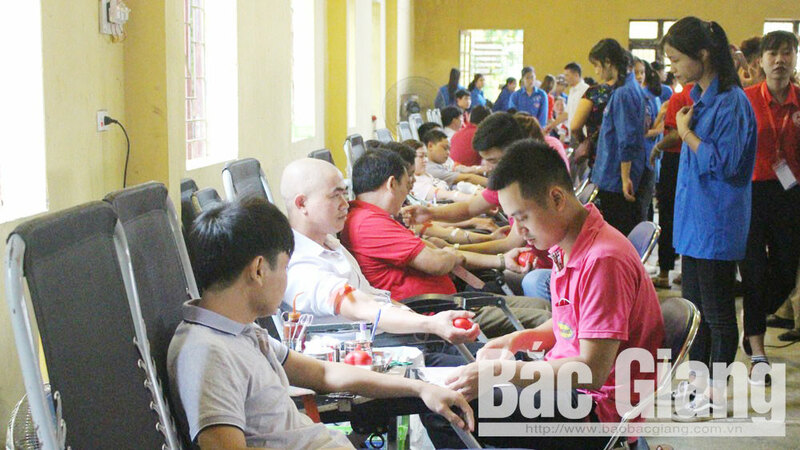 (BGO) – “2018 Blood Donation Festival” was launched on March 15 by the Ho Chi Minh Communist Youth Union of the Bac Giang provincial Agencies and Organizations, attracting more than 200 members from 55 grassroots associations.